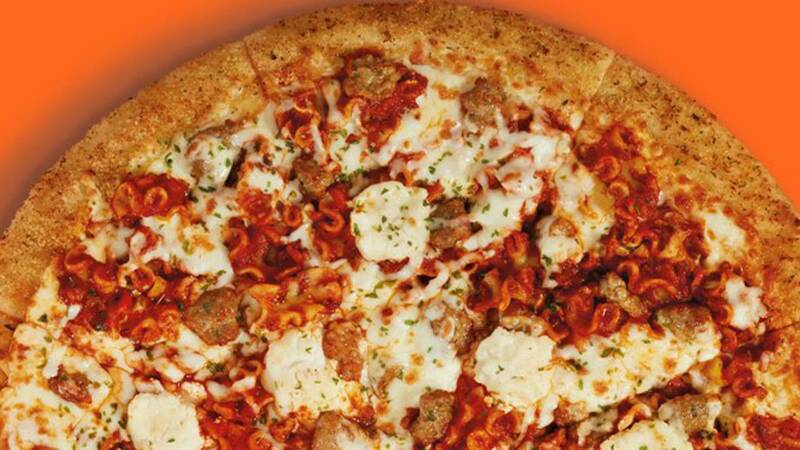 Little Caesars is apparently trying out a lasagna pizza and Garfield is super excited. Chew Boom reports the Detroit-based national pizza chain is testing out a lasagna pizza at some locations in Georgia, West Virginia and Ohio. The pizza is round with with a Parmesan breadcrumb crust, meaty marina sauce, mini ribbon pasta, Italian sausage, plus mozzarella, Muenster and ricotta cheeses, according to Chew Boom. One pizza will rack up 2,740 calories and 5,780 mg of sodium. So, maybe share it. No word on if or when Little Caesars plans to roll this out to everyone.